Your eyesight is vital to all parts of living. Quality vision is necessary for performing the simplest to the most complex tasks. At Mondo Optical, we want you to see clearly and enjoy life to its fullest! Our leading optometry practice is truly one-of-a-kind – with eye treatments, contact lenses, and vision care that’s customized to meet your unique needs. We develop a solid, positive relationship with each and every patient, as well as ensure that your eye care experience in our Clay offices is pleasant and comfortable. 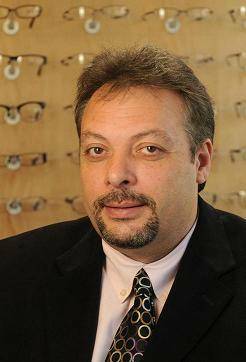 With over 20 years of professional experience, Dr. Anthony Mondo is focused on the big picture of providing you with all the expert, friendly eye care services that you deserve. Our broad range of frames, lenses, and contacts ensures the best optical solution for your needs and individual style. Eye Disease: If any signs of eye disease are detected – including glaucoma, diabetic retinopathy, macular degeneration, cataracts, and retinal problems – Dr. Mondo will treat your eye condition in the comfort of our clinics, located in Clay, NY. With top skill, compassion and a mission to promote lasting healthy vision, we’ll help prevent future vision loss. 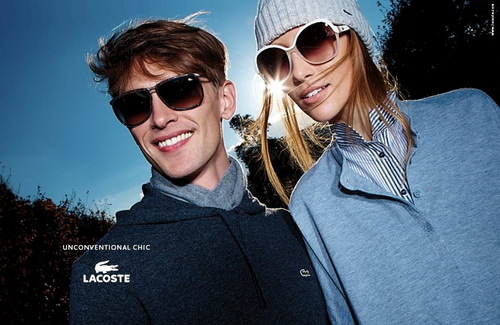 Extraordinary Eyewear – To Give You Sharp Vision and a Great Look! Our opticians are all licensed and knowledgeable about the eyeglasses that we carry. We know that some patients are intimidated by our wide array of designer frames, and it can be hard to make the right choice. We’re here to help! We’ll help you look through our high-quality collection to pick the best frames for your vision and face. To keep you in high fashion, we feature frames in a range of styles from many trending designers, such as STATE (Made in the USA) and Eyenigma. These eyeglasses will allow you to express your unique fashion statement and personality. All of the eyewear at Mondo Optical is made-to-last, crafted with state-of-the-art technology and modern materials. Love this place! Every employee from the time I stepped in, to the moment I checked out were beyond kind and very helpfu l without being too pushy. I would definitely recommend them. Hassle free and profressional. Michael worked with me to find the best glasses for my needs. Will definitely be coming here for my next exam and glasses purchase. Thanks again! They were right on time and the appointment was quick. Dr. Mondo was very friendly and answered all of my questions. Dr. Mondo is amazing. He diagnosed my detachment of the retina and saved my eye. The staff are kind and attentive. Kyle is amazing at his job of making sure you get the best glasses for the shape of your face. I highly recommend this place and will be referring often . I can’t thank them enough! I totally recommend that your next pair of glasses should come from here. All are very professional.They take great care in making your visit pleasurable and informative. Was the best optometrist I’ve ever been to. Very thorough and friendly. They have a huge selection of frames also. We take pride in building lasting relationships with our patients, which is why we take the time to get to know you, your vision requirements, and your lifestyle needs. Visual acuity tests are the first step of all eye exams. With advanced equipment, we’ll assess your eyesight to determine whether or not vision correction is needed. Dr. Mondo will then inspect your eye health thoroughly to diagnose or rule out eye disease, such as macular degeneration, cataracts and glaucoma. Our office is outfitted with the latest technology and optometric diagnostics – so that you benefit from highly accurate diagnoses. Our comprehensive eye exams will check all the essentials of your visual system, in the same way that a medical physical evaluates your overall health. We accept Carecredit and most Insurance, Vision and Union Plans including VSP, EyeMed, Davis Vision, Pomco, Blue Cross/Blue Shield, United Health Care, Spectera, & Medicare. Visit Our Insurance Page. Do You Have Keracotonus Or an Eye Condition that Makes Contacts Lenses Hard-to-Fit? At Mondo Optical, no contact lens challenge is too great for us! Dr. Mondo specializes in performing expert contact lens fittings for many hard-to-fit conditions. If you suffer from keratoconus, we’ll use modern digital imagery and technology to map your cornea to determine the best contact lenses for your eyes. We’ll work with you patiently until the perfect fit is found. A full range of hard-to-fit contacts, with specialty types such as toric, multifocal and rigid gas permeable, is available in our Clay, NY offices. Keratoconus Can Be Treated With Corrective Lenses!